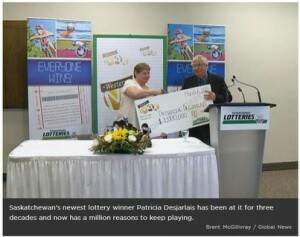 Her prediction finally came through when she won a million dollars on the March 6 draw of the Western Lotto Max. She is not yet sure what to do with the money but thinks some of it will be for retirement, for sharing with family, and for trips. One thing she is sure of is that she does not want to leave either of her two jobs; she drives a school bus and works as a courier for Purolator.